Film Director, Daniel Ademinokan storms the big screen again with this cinematic and emotionally thrilling film, BETWEEN. The film stars Nollywood screen goddess and icon, Stella Damasus alongside Travis Grenier, Lynn Jenson and Erin E. Feest. Set in Atlanta, Georgia, Damasus, Chelsea Hollis, a successful 36-year-old woman that has been married and divorced four times! She lives a double life as a white-collar worker by day and a party girl at night, and helping people fix their relationships but she has totally given up on love. She is pro-feminism believing women should be 100% in control of their emotions and the choice of whom to sleep with and when to do it. The Scott Hamilton comes along and a one-night stand blossoms into a romance until she finds out that the man who is about to change her perspective on love, may just be much more she anticipated. The London Special VIP Screening for BETWEEN takes places at ODEON CINEMAS GREENWICH in London on April 12th, 2019. Strictly invite only!! 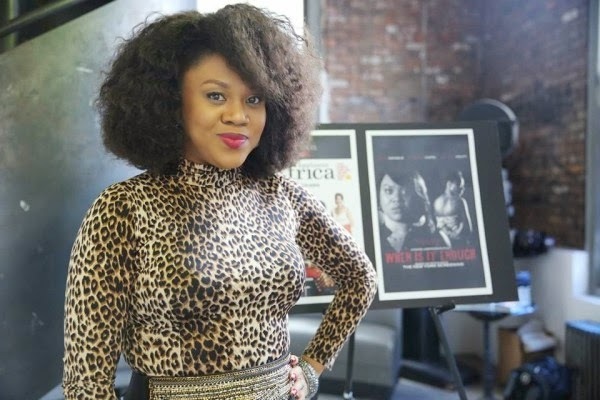 To win one of 4 pairs of tickets we are giving away answer the following question: Name two films that Stella Damasus has starred in. Send all answers to the editor @ alt – africa . com not later by 5pm on April 9th 2019. All winners will be notified by email.